Fighting fire is a very dangerous job and we like to see all operations personnel involved coming back from a hard day of work. -UNI EN ISO 340:2013 specifies a method for assessing, on a small scale, the reaction of a conveyor belt to an ignition flame source. It is applicable to conveyor belts having a textile carcass as well as steel cord conveyor belts. 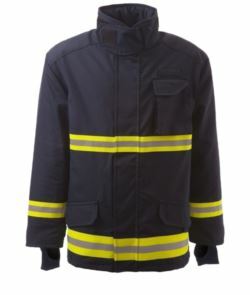 -EN ISO 11612:2015 specifies performance requirements for protective clothing made from flexible materials, which are designed to protect the wearer's body, except the hands, from heat and/or flame. 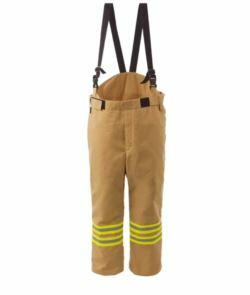 For protection of the wearer's head and feet, the only items of protective clothing falling within the scope of ISO 11612:2015 are gaiters, hoods, and overboots. However, concerning hoods, requirements for visors and respiratory equipment are not given. 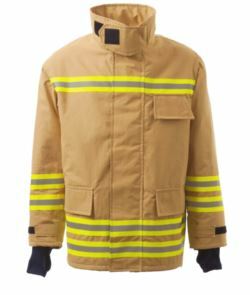 Fire-fighting clothing can be customized with your logo and company reference, contact us to evaluate which technique, due to different fabrics, best suit you.